I’ve just corrected the register post type code in the narrative. The example I gave was for the layouts not the project custom post type. Apologies. As someone mentioned on the Divi users Facebook group, it would be nice to be able to add new custom post types, not just replace the existing Projects one, but still be able to use a portfolio-style module in the page content. Something to look into later, I think. Hi Gareth, did you already find out how to do this? I would really like it! hey man, awesome post! thanks a lot! how do you change the slug for the categories and tags for projects? i’d like to change the “project_category” slug when to go a category archive page! is that possible? Doh 🙁 now I got my Recipes (which I substituted Projects with) setup. Unfortunately they totally crashed my post type so I cannot use it for anything. Think you’ve got a good idea of what can have happened? Clicking on either of those recipes (‘Recept1’ or ‘Yoghurt med frukt och nötter’) will lead to nowhere, even though they are supposed to work as previously Projects. I’m sort of paniced out. What happens if you go to Settings > Permalinks > Save Changes? It may be that after the change of Projects to Recept WordPress needs to pick up the new URL. Thanks very much Gareth for this post! Really helpful, thanks!! Just wondering if it was possible to create a 2nd custom post type where the Divi builder is also usable? Elegant Themes are actually currently working on separating the builder into its own plugin, so that it is not tied to Divi. You can read about it in their post: The Silent Progress Of Extra, The Evolution Of Divi, And A Glimpse Into The Future Of Elegant Themes. In the meantime, I suspect that it probably could — but I’ve not done it yet. I’ll give it a go soon and report back. What a great post, thanks so much!! I have a question: I’d really like my projects to be hierarchical so I can enable Yoast breadcrumbs and use a function I use called SubPagePeek, which can optionally display a list of all child pages from a parent page. So as I add new child pages, I don’t have to update the parent page. I would like to do this on the projects, so I used your code but changed a few things and it stopped working. I am doing something wrong but am not sure what! When I register the post type, I changed capability_type to page, hierarchical to true and added page-attributes to the supports. Now what happens is that WordPress can’t find the page. Any ideas? Thanks! I faced the same problem and I chose another solution that I will expose you. I then changed the back office texts with poedit. but if you want to redefine some parts of the project custom post type, you are not forced to redefine entire funcion. You can use the et_project_posttype_args filter, to manipulate the post type $args array. Brilliant! Thanks for your advice, really appreciated. Hello Gareth, awesome and useful article! 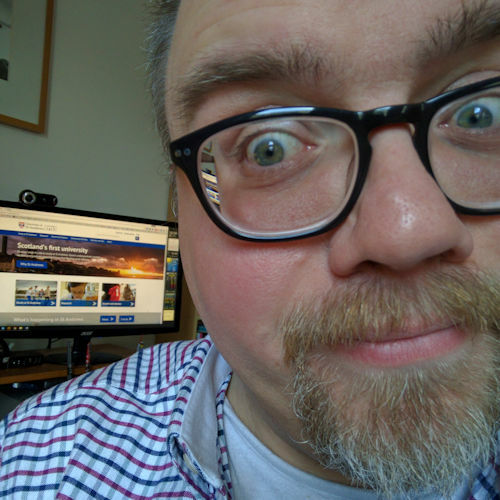 For the simple website I am creating I would like to be able to use the full width portfolio option etc with images from my “posts”/blog and not only have the choice to do so with the “projects” ( or whatever else i could name this as per your tutorial…. ) . Is this possible? Any idea how etc?? I just put your code into my Divi child theme and it worked brilliantly and did exactly what i wanted and even more – that i did not know i wanted!! You are very clever! You’re a star Gareth, this worked a treat. We have a holiday property directory website in Norfolk that we are about to rebuild using Divi and the word project just didn’t look right. Your code worked great in our child theme, just as you said it would. Did you get exerpts? Using the project or what is now properties following your code above, I see no way of getting this to appear. Support at Divi and complicating matters and saw you had done this. I’ve been using your code for the past few months, and it’s worked great! However, it seems to no longer work with the latest update to Divi. Do you have any idea why? Hi Josh — which version of Divi is it not working with? Is it a 2.4 branch or 2.5? It’s still working fine for me. Thanks for the quick reply, Pete! As Josh said above, your fab code no longer works on the latest Divi update. It seems to work fine however a few things like the house icon isn’t there and the order in admin has remained unchanged. All in all it seems to work well so far. Has to be said the house icon and other bits aren’t as you did however it did the basics. Thanks Pete. Yeah, I’m planning on taking a look at it as soon as I can — not least because I can’t upgrade a friend’s site until I do fix it. Been up to my eyes with work, church, family stuff… May be some space this week to look at it. If you scroll to Jonfold’s answer, that solution worked for me. I did needed to reset the permalinks however to make the adjustments work again. I hope this helps anyone, but as always backup and test first before deploying on a live site. So I should remove all of Gareth’s code and replace with this code? I am not certain (as I am having another issue). Give it a try. It turns out that the default WordPress priority is set to 10, so we obviously want to run these _after _ Divi has loaded the default project custom-post-type. I hope that helps. And sorry for the delay in getting back with a solution. I now have this up and running using a child theme and Divi 2.5.3. Thats what I did. A couple of things, it won’t do all that Gareth’s code did however I needed the URL to be Property and the code Divi Support supplied does this. It renames the tab in Admin to Property however no reorder or nice little house icon as Gareth did. Although it does produce the builder in the custom post type, it doesn’t allow the ‘Hide Post Title’ option and doesn’t seem to cause ‘Hide until Scroll’ option to work either. Is there something I’d need to add to cause that to appear and function? I’ve followed this and got everything to work (new type name shows up in admin area), except the “projects” index page is showing up blank, and individual projects show up a blank page as well. This is even on versions 2.4 of Divi. Anyone encountered this or know what I might be missing? Would you be able to update this tutorial to work with the Divi 2.5 release? When we updated to Divi 2.5, it stopped working and was working great up until that point. Thanks! Done, please see the comments below plus the updated code in the post. The add_action and remove_action priorities were set too low. By default these are set to 10, but in my code I’d set them to 0 and 1. So the child theme was trying to unload the default Divi project custom-post-type before the parent theme Divi had even loaded it. Changing these to 15 and 20, respectively, fixed it for me. I now have everything working as expected, including the custom icon on the WordPress admin screen. I’m using the Pods plugin (https://wordpress.org/plugins/pods/) to create custom post types. It allows you to add taxonomies, including built-in taxonomies, to custom post types. I can apply the Projects’ taxonomies to my custom post types, but when I change Projects to Exhibitions using your code, I can no longer apply those taxonomies to custom post types. The problem only occurs when using your code to change Projects to Exhibitions. Do you have any advice/recommendations? You sir… oh you! THANK YOU !!! Literally saved me hours of work in a single google search ending up on your blog post (I love SEO sometimes!). BIG BIG thank you again for this, worked out of the blue with a simple “search and replace” in my text editor using your original code. Amazing tutorial Gareth. Assuming the current code has all the updates, etc. mentioned in the comments? Is there a way to also keep the projects CPT and add a new one easily based on above code in the post? THANK YOU so much for documenting this! I agree, YOU ROCK ! I’d like to include the “Page Attributes” box so I can set parent/child relationships to the entries. I thought I could set the first and/or last Hierarchical => true, but that didn’t work. Is turning this on a simple thing to do? When I removed this code bit from my child theme functions.php I was able to regain access to the Divi Library page. Did you ever find an answer for this? I just realized I am having the same issue. I have the same issue. Is it possible to fix it. I have post the fix on the GitHub repositary. can you please provide me a link to it ? Same problem here. Has anyone found a fix yet? it was listed in a different comment thread. is it possible to not just change but add new custom posts types? In my case I would like to add a BOOKS type as well as MOVIES.Actually i want two types of Project that both follow PORTFOLIO MODULE. First, create your new custom post type — either manually in your child theme’s functions.php file or use a plugin like Custom Post Type UI. Then create a new plugin using the code from Brandon Shutter’s GitHub repo called Divi-CPT-Builder. That enables the Divi builder on all custom post types. Do let me know how you get on. I’ve just tried it out on a localhost site and it worked. I need to change the text of the post listing order i.e. “Popular”, “Latest,””Most rated” to equivalent Danish terms. I would love it if you could point me in the right directions as to where this is done? Well done. I have been spending the last few hours making some tweaks to your code to enable events… your code worked like a charm and I cannot tell you how much I appreciate your help! Is there any chance you could share your work? I’m trying to get the divi projects post type to work for events so would love to know what approach you took. I’m sure I’m making it more complicated than it needs to be. If I already have a custom post type with content, will this work for that if I change the name to the one I’m already using? Im trying to figure this out too. I already have a custom post type in place. Looking through the code to see how to just make the switch instead of registering a new post type. Maybe some smart coders here will know. This is a great post! I am just at the point where I got everything working. I use my custom post type with hierarchy so they behave like pages. Because of this I want to use a custom single.php. I could do it with CSS but with a custom-single.php it would be more elegant I think. Do you now how to achieve this? Gareth—thank you for sharing this, it worked marvelously. I had the same issue as others with it blocking access to Divi Library, but ET/YesPapa’s solution fixed it. Brilliant! Thank you. I will do this. Hey Gareth, great post, thanks for sharing the solution you provide regarding Projects custom post type on the Divi theme. 1. Is it possible to change the ‘project_category’ and ‘project_tag’ to ‘loans_category’ and ‘loans_tag’ so it matches up to what I changed already? 2. Can the permalink structure be modified so it strips out the ‘project_category’ and ‘project_tag’ and just is site.com/loans/tag-term/ or site.com/loans/category-term? or does it have to remain site.com/loans/project_category/category-term ? Thanks for all your helpful info! Thanks for the great tweak, Gareth! (Still working for me on WP 4.7, Divi 3.025. I read this post after a hard day working on filterable portfolio. I’m a great fan of Divi, but only today I realize that the divi portfolio can filter projects only by categories and not by tags. What do You think about? Is there any possibility to change the original project_category filter in a project_tag filter? Thank You for your attention and congratulations for your blog. Gareth, thanks a lot for sharing all this details. Works like a charm. Just wonder, if it’s possible to use Divi projects custom post type with extra taxonomies. I can add/register another taxonomy but I can’t see them in the Divi portfolio module. If you have a lot of types of taxonomies you don’t want to have all of them in one metabox. I guess it’s not only my problem. All the best. Just wanted to add my thanks as well. Well-written post and very helpful code. Help me solve my issue in less than 5 minutes! Also—I lived in Scotland for a while about twenty years ago and I absolutely loved it. Not only did you help me solve a problem, I really enjoyed a bit of cultural nostalgia by reading of a few of your other posts. Thanks so much for your kindness and generosity in sharing what you know. God bless! Thanks for this! Any idea if it will work with the new Divi 3.0? I’ve had issues in the past with making changes to a Divi child theme only to have it break when the client updates the theme. How do you avoid this issue? Do you recommend preventing the ability to upgrade a theme? Otherwise i get a permissions access error. Did removing those two lines of code solve the problem? Does it still work if you remove them? Great job, Gareth. Thanks a lot! I use the divi post type “projects” from the divi theme (wothout any editing) but also several others that I created via toolset types. In general it is possible to set parent or child post types for any custom post type. But somehow I can’t manage to do that in the project post type. Meaning: I can’t edit a post and combine it with a project. Would be great to get some help. One thing this article doesn’t address is how to use a custom template with the taxonomy? Currently, if you make the changes as suggested, Divi will still load the single-project.php file as the post template. Ideally it would be better if it loaded single-mynewposttype.php. Thank you for this post. It was what I needed. I actually went about it a different way as my needs where not as great as yours with this CPT issue. An easier (and probably safer) way to do this is to use the already provided filter in Divi Builder’s core.php module for the et_pb_register_posttypes() function. To change Divi’s ‘project’ CPT to something else, there’s no need to call your custom function via and add_action trigger. Instead you can simply hook into the filter already provided in the register_post_type( ‘project’, apply_filters( ‘et_project_posttype_args’, $args ) ) line. You have to supply it with the same label and arguments as you have above, but it works fine. Of course hooking into the filter does not accomplish your stated second goal at the beginning of this post — to remove the default Projects CPT. So it might not be as “tidy”, as you state! IMO it is always a better practice, when available, to utilize available WP filter hooks that allow you to accomplish a goal than do a more forceful change via triggering WP actions. As of my comment date, this approach works with the most current versions of the Divi theme and Divi builder. Using the filter hook to rename the various project CPT attributes does not rename the categories and tags taxonomies for Divi’s ‘project’ CPT. If you wish to do that, you still have to forcefully change it as currently ET has not made filter hooks available to change these project taxonomies. I’ve put in a feature request with Elegant Themes to, at a minimum, include new filters in a future version of Divi Builder that will allow both the ‘project_categories’ and ‘project_tags’ taxonomy creation functions to be hooked into, allowing for these taxonomy labels to be changed to whatever a developer wants. I also suggested an even more significant feature that would instead create a setting in the “Divi > Divi Theme Options > General” and “Divi > Divi Theme Options > Builder” tabs that would allow developers and users to set their own name for this Divi-created CPT. This would require a global variable that would be referenced throughout Divi’s code in all places that deal with the ‘project’ CPT. So with one simple input box, the change could be affected throughout the entire Divi-based system — CPT slug (name), taxonomies, and labels. We’ll see if either of these options get implemented in a future version. There’s a much, much easier way to do this. Install WP-Types and change the CPT there. You can even uninstall WP-Types once you’re done. can i see demo off all what you do or video tutorial whit life demo? I used your tutorial to change the cpt “project” to “animals”: I am then able to use the filterable portolio module, which is great. I can only report one tiny bug: when this piece of code is present within the functions file, I cannot access the Divi library anymore. I need to comment the whole code, edit the template within the Divi library , then uncomment and refresh permalinks. Does anyone experience this as well? Yes, sorry. That was brought to my attention a while ago and raised as an issue on my GitHub. Life just hasn’t been kind enough this past year to work on resolving it. I’ll try to make it a priority in the next month or two to fix it. I found this code to change the name and it worked, but how do I have no name in the place of “project”, to be left with nothing. Nice tutorial, but how do I rename “Skills” to lets say “Tags”? Is it done via child theme’s functions.php file or Divi’s CSS?